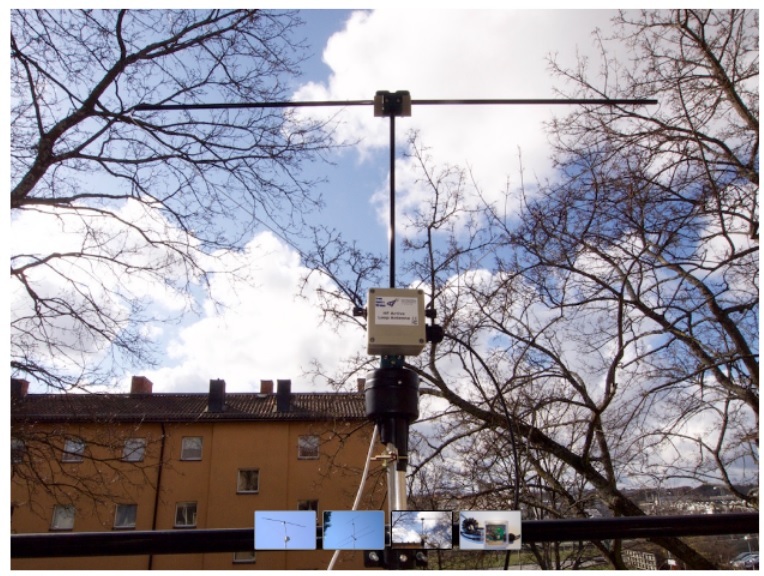 The antenna is a triangular loop antenna 1.1m (51″) wide with a built-in low noise high dynamic range RF amplifier. 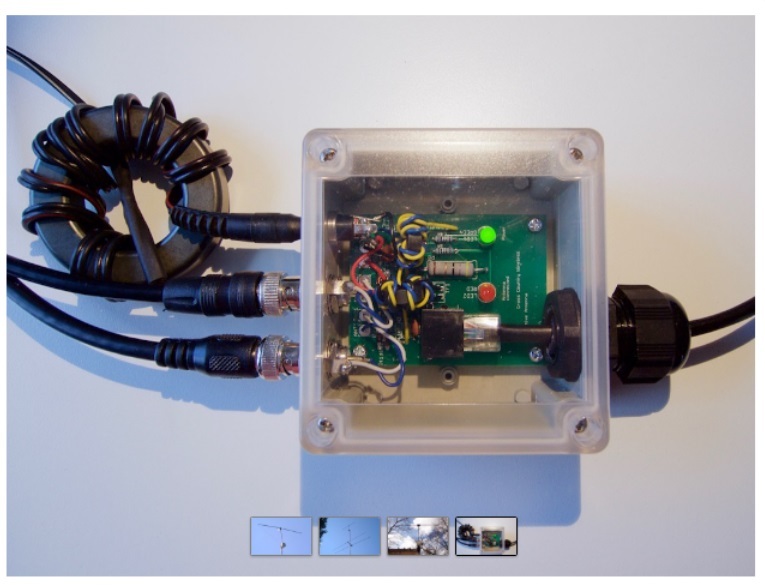 A base unit allows 12V power to be fed up an ethernet cable feeder to the antenna. 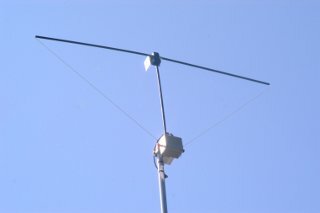 The antenna current consumption is 150 mA. The base unit also has a two way splitter to provide two separate RF outputs.